I’m not sure if I should be relieved or disappointed that most of the Japanese Fall Collections are turning out to be a snore this year. One collection in particular that’s a devastating disappointment is Lavshuca’s Fall Collection. 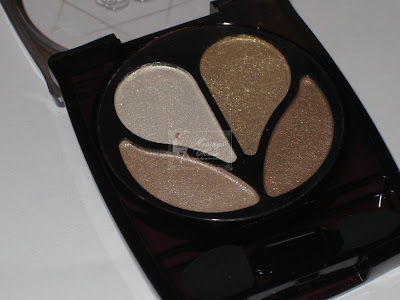 Yet again Lavshuca decided to revamp it’s eye shadow palettes with an array of rather boring shades. I thought I had all I could take with the Lavshuca Noble On palettes released for Spring but now I have another weak assemble of strange duo shadow palettes to contend with. I feel like Lavshuca is trying just a little too hard lately. 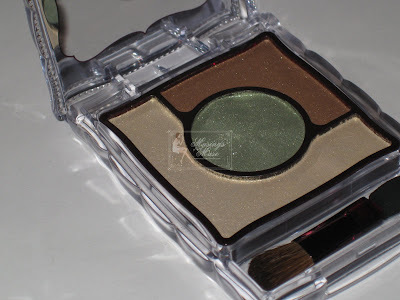 The original palettes released were such a gorgeous array of shimmering shades that just worked but lately each new design and color releases seem to be rushed with little thought. The only redeeming collection from Lavshuca in a while now would be the Summer palettes which I will be reviewing shortly. These shades just look strange to my eye and I’m debating with myself fiercely whether I should be indulging or not. Sometimes cosmetics remind me of a great author. I’m a big reader and I love many fine authors. I find myself buying a new book release from an author that I know has long since lost it in the hopes of gathering that special feeling I felt the first time I read a book by that writer. And so it goes for cosmetics as well! For the sake of collecting I find myself picking up various pieces from collections even though I know they won’t be as great as they were the first time I was lured in by their brilliance. In this case I’m wondering if I’ve learned my lessons when I purchased all the Lavshuca Noble On palette releases! These could very well turn out to be amazingly good but for once I think I’ll sit back and wait for a review prior to being the “first kid on the block” to purchase them! I’ll keep hope alive that the Lavshuca Winter/Holiday releases hold a special magic that the Fall releases have failed to give me! What are your favorite Lavshuca items? 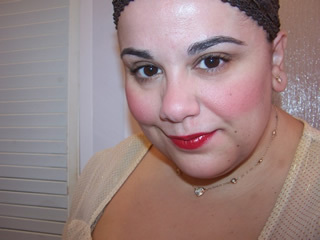 Click here to view my review on the Lavshuca Spring 2008 Collection featuring the Noble On palettes! 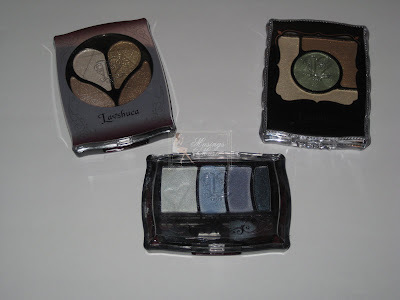 Get a sneak peek of the Lavshuca Summer 2008 palettes that I’ll be reviewing soon! 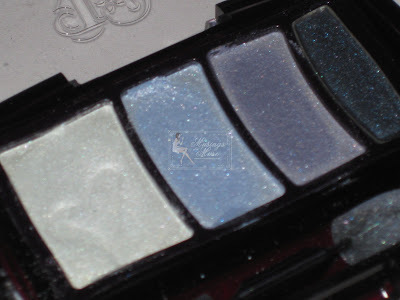 Check out the Lavshuca Winter Make palettes from the Holiday Collection! Kick back and watch some MuseTV with a Spotlight on Lavshuca Cosmetics! These palettes look uninspiring *shrugs shoulders*! I guess it was good that I was not impressed, saves me money for the next collection! tammy! look at you! Nice to put a face to the name 🙂 Lovely pic! No kid? 🙁 They apply without the shimmer thankfully. But hey it is good news as now you have more $$$ for other collections 🙂 The Nordies exclusive might appeal to you! it’s releasing this week wahoo! I went to the counter at Dillards…I needed to get matched for foundation too. The MA was super sweet and helpful, no snobbery or attitude, totally refreshing! Mondays are bad for me to. I love Lavshuca’s previous 2 palette designs, the noble series are not very pretty. kate’s fall release isn’t really nice, neither is MJ, except for the new mascara! Lash Gorgeous Wings, lovely name!! The packaging is my favourite style yet but the colours are so blah?! Boring! amen for that Tammy! I love counter MA’s they are awesome! Freaking mac store ones are scary as hell! Yak mondays are awful! I have such a prob pulling myself from bed in the AM on Mondays! Agreed! I agree plus the formula was way difference as well! I agree 100% 🙁 I miss the cute flower blossom style quad..much more shimmering and lovely! morning plue! How are you my love? I had a fab weekend, how about you? The noble on weren’t too bad in style but the colors were just awful blah! I did like the new glamtrick releasing with kate’s fall line up but aside from that the rest is yak! I agree the packaging is quite lovely but again we have seriously boring shades 🙁 what the heck? This is such a gorgeous looking palette! 🙂 I need to link your blog to see this up to date Asian brands. Nope. Not that I know of?! Awww…give a yell if I can help you get whatcha need lovie! Stop by often for the scoop hehe! hiya ‘ * : . b | u 3 . : * ‘ ! I’m debating on JS myself as the colors are such reruns! The new ones stink plus the formula is different 🙁 I miss all the shimmer! Sigh! Okay so i’m on a comment roll here! You’re tempting me sooo much with all these goodies! But I have to click down your site NOW or my credit card will weep… Talk to you soon dear Musey, 1000 hugs to you! And a little kiss! 10000 hugs back 🙂 I’m good with cps at the moment so if you do need mac or anything let me know! I’m kinda on a roll so now is a good time to grab me especially since I get so swamped!